The sun illuminates a row of homes at Park Plaza Cooperative in Fridley, Minn. Five years ago, the residents formed a nonprofit co-op and bought their entire neighborhood from the company that owned it. 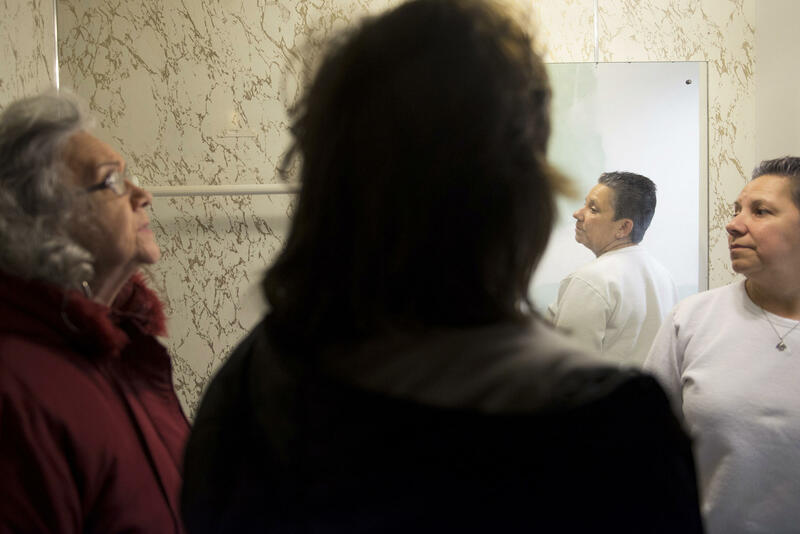 Resident Bonita Johnson (left), on-site manager Nancy Stock and Natividad Seefeld check to see if updates and repairs are done in a rental home bathroom as they prepare for a future resident at Park Plaza Cooperative. 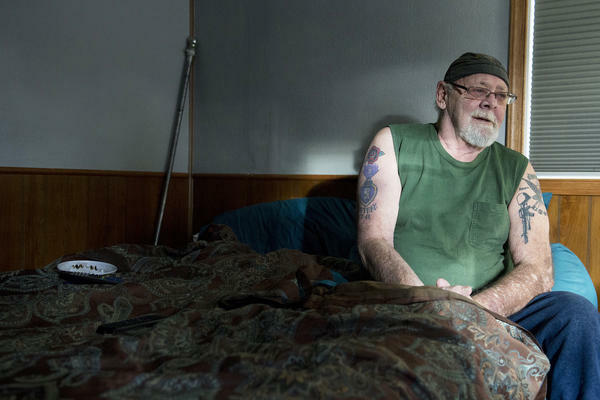 Rusty Welton sits on his bed inside his home. He isn't convinced that a cooperative is the best plan. Natividad Seefeld drives through the community. Growing up, her parents kept moving the family from rental to rental. This motivated her to push for the community to become a cooperative since she does not want to move again. 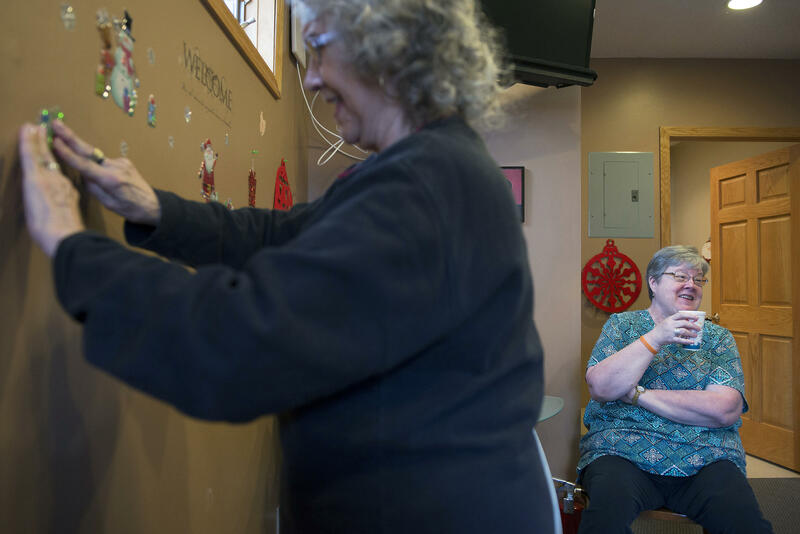 Residents visit in the Park Plaza office as Bonita Johnson (left) hangs a holiday decoration and Pat Streeter sips coffee. Streeter was open to becoming a cooperative, but she felt it was a fractured community. Natividad Seefeld, who's the president of the Park Plaza cooperative, stands outside her home. She and other residents say prior to becoming a cooperative, they had never seen the owner. Homes at Park Plaza Cooperative are seen through the window of a rental home. Residents gather in the Park Plaza office. Many say that as the cooperative matures, it's building a sense of community. Rusty Welton's two dachshunds sit on the steps to his home. Some residents like Welton are not active participants in the cooperative, which can lead to heavier workloads for other residents. On-site manager Nancy Stock places new numbers on a mailbox at Park Plaza Cooperative. But this was not an ordinary picnic. Residents were celebrating the fifth anniversary of a major achievement that could inspire similar communities across the country: The day they began to take more control of their lives. Park Plaza is a mobile home park, or what industry calls a manufactured housing community. Five years ago, the residents banded together, formed a nonprofit co-op and bought their entire neighborhood from the company that owned it. Today, these residents exert democratic control over almost 9 acres of prime suburbs, with 80 manufactured houses sited on them. "It's pretty wild," says Carleton Dahl, one of the resident-owners, as he eats a hot dog. "Been a big change around here." 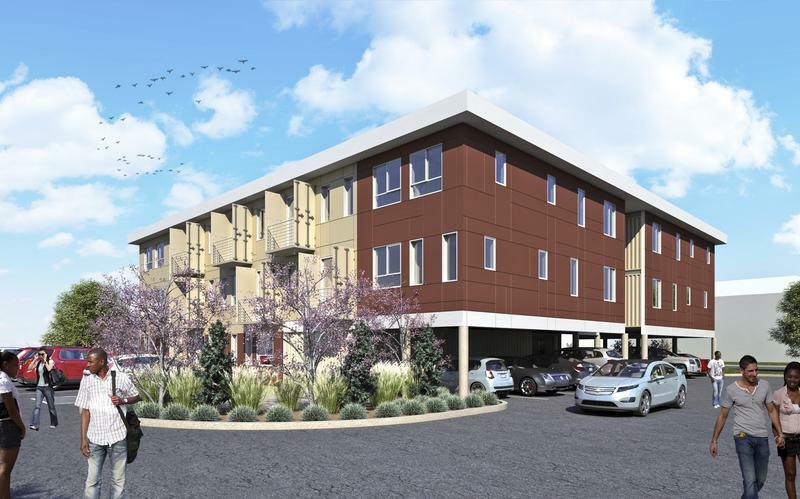 Picture a mobile home community, and your image might look like Park Plaza. Most homes are white, brown or gray rectangles, with aluminum siding and pickup trucks parked in front. Some homes are bordered with flowers. Others have piles of junk. There are no precise figures, but the U.S. Census Bureau estimates there are more than 8 million manufactured houses across the country. Housing specialists say they're an important source of affordable housing. "Where else could you live close to a city for this kind of money?" asks Natividad Seefeld, the elected (and unpaid) president of Park Plaza. Minneapolis is less than half an hour away, yet a used two-bedroom manufactured house in Park Plaza recently sold for only $2,000. "We've had people that've lived here 20-plus years," Seefeld says. So the residents were stunned one day almost seven years ago when a letter showed up in their mailboxes from the park's owner, saying that he was considering selling Park Plaza. Seefeld and other residents say they had never seen the owner. Now he was about to turn their world upside down. That letter spotlights the main legal and financial drawback to living in most manufactured housing communities. When you buy a home there, you own the walls, roof and floor, but a private company or investor owns all the land under and around the house. Homeowners pay rent to keep their homes there. The company can sell the land and kick out the residents and their houses whenever it wants, except in a few states that have given residents legal rights to resist. Typically, the companies that own mobile home parks also own the infrastructure, and the less money they spend maintaining it, the more profit they can make. Housing specialists say that's one of the main reasons why many manufactured home parks look worn down and scruffy — like Park Plaza did before they formed a co-op. Residents showed me pictures of the old streets with potholes everywhere. Some were so big that kids would play in them after it rained. The water pipes were so old they would rupture a few times a year, and everybody would go without water — sometimes for days. Still, residents were stunned that they might have to move. Many would have a tough time affording anyplace else. Some residents at Park Plaza work in electronic or machine tool factories sprinkled around the neighborhood. Some work in construction, or at the Target warehouse nearby, while others are retired or live on disability. 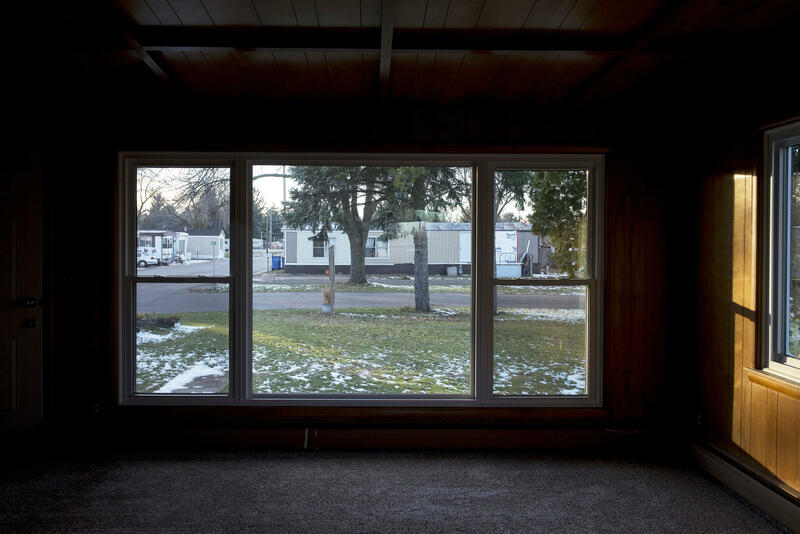 Despite being called mobile homes, manufactured houses are actually not very mobile: It costs thousands of dollars to move one. And that's too expensive for residents like Seefeld. She recently switched from driving a forklift to expediting shipping at a General Mills factory. "Oh my God, I make $20,000 a year, if I'm lucky," Seefeld remembers thinking, as she kept staring at the park owner's letter warning he might sell. "Now, what?" Then one week later, the residents received another letter inviting them to a meeting to learn how they could save their community. About 70 residents attended, sitting nervously in a room with thin carpets and bright fluorescent lights at the Fridley public library. Kevin Walker, a community development specialist from the Northcountry Cooperative Foundation, stood up front and gave them surprising news: If they wanted, his organization would help them buy Park Plaza and run it democratically, for the good of the residents. The foundation, based in Minneapolis, collaborates with ROC USA, a national network of development specialists. Since the late 1980s, ROC has led a legal and financial campaign to help residents take over almost 200 mobile home parks across the nation. As the meeting unfolded, Walker displayed a series of posters showing how the residents of Park Plaza could pull it off. First, the Northcountry Foundation would help them form a co-op — every homeowner who wanted to join would chip in a membership fee, usually around $200. Next, they would elect a handful of their neighbors to a co-op board of directors. Then, Northcountry would help the co-op borrow enough money to buy Park Plaza. When Walker put up the next poster, Seefeld recalls, residents were stunned. "We had this big white sheet of paper in front of us, with $4.3 million written on this sheet of paper," she says. "Some of us are on disability, some of us are retired. Where are we going to come up with $4.3 million?" 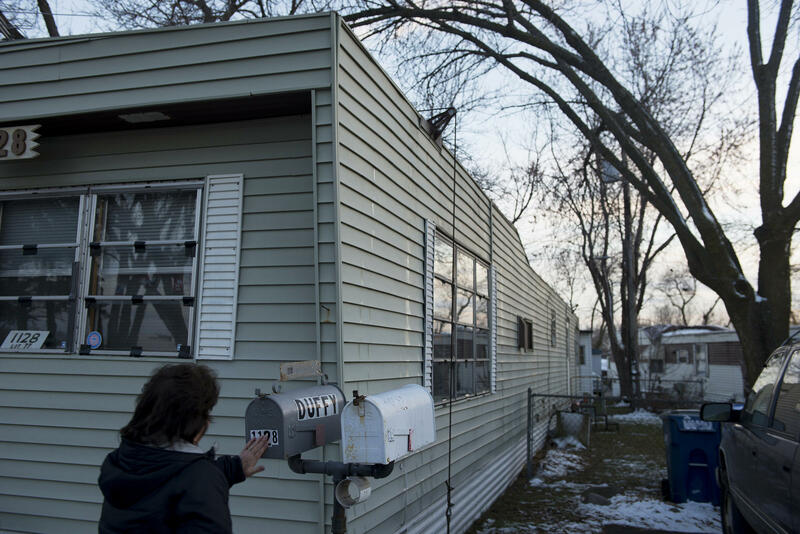 Walker's next poster showed the answer: Mobile home parks are a profitable investment. For instance, the real estate company that owned Park Plaza received $400 a month rent from every household, generating almost $400,000 a year in income. Walker told the residents that his foundation and ROC USA could likely help them get the huge loan they would need. After all, the federal government requires banks to invest in low-income housing. One of the residents, Pat Streeter, says she was open to hearing Walker's idea, but didn't see how it could work. Park Plaza was such a fractured community, she says, that she hardly knew a single neighbor in that meeting room. One of those neighbors, Mara Hernandez, remembers thinking: "I am janitor. I'm very afraid." Seefeld says she was scared, too. But growing up had prepared her for this moment. As a kid, "we didn't know where the next meal was coming from," she says. "And that's not just hyperbole." Her parents kept moving the family from rental to rental. "I think they were always trying to keep one step ahead of being evicted," she says. They even lived in their station wagon for a while, next to a beach near Los Angeles. Seefeld says as she listened to the meeting, she knew she could never move again. She stood and faced the crowd. She's less than 5 feet tall and often speaks in a quiet voice. But she has an intensity that grabs people. "I said 'Close your eyes for a minute, and think, What would I do if they said I had to move today? But you have to take your house with you, too. Where are you going to put it? Where are you going to get the money to move it? What about your family? And say, 'Oh my gosh, I don't really have anywhere to go. I have nowhere to go.' Then you realize, I have to do it," she says. And the residents did it: They voted that same night to form Park Plaza Cooperative. The banks lent them $4.3 million. And one year later, the residents bought their community. I dropped by one evening as the board of directors was holding its monthly meeting in a chilly community garage. Board members seated around a bare folding table tackled one agenda item after another: the status of the new, brighter street signs (almost ready); one resident's proposal to erect some American flags (passed); and the need to keep enough cash in certain co-op bank accounts. In the process, they demonstrated how technical advisers from Northcountry Cooperative Foundation have been training them to run a multimillion-dollar community. ROC USA's contract with the residents requires them to get technical assistance, such as how to run a meeting using Robert's Rules of Order or how to manage finances, from a development agency like the foundation. Meanwhile, the entire Park Plaza community has been learning to make decisions, too. All the co-op members can vote on major projects. They voted to increase the monthly rent, and then to spend several hundred thousand dollars of the income to help renovate the park. They voted to replace the old water pipes, so the community never goes without water. And they voted to resurface the streets. I didn't see a single pothole. Residents say that as the co-op matures, it's building a sense of community. "For instance, there's a neighbor down the street," says Streeter. "She grows vegetables in her garden, and she brought me a fresh head of broccoli, and said, 'Hi, I thought you'd like to have this.' "
And Streeter says when the neighbor got sick a year ago, she made soup and other food for her and her children. They're small gestures, but Streeter says nobody made them before Park Plaza went co-op. "I didn't know my neighbors enough to do that," she says. Still, residents say that managing their own community does not bring nirvana. They still have neighbors like Rusty Welton. "He probably won't talk to you," one of his neighbors said as I was looking for his house. Welton had a reputation for being a grouch, one of the board members told me. His driveway used to be littered with his dog's feces. The board kept issuing violations against him, and warning that they could evict him for breaking the co-op rules. But after I told Welton that I heard he's an Army veteran, he warmed up and agreed to talk. He showed me his two Purple Hearts; he got shot twice in the Vietnam War, and now he can barely walk. He showed me old photos of a handsome young man — himself — holding his M16 rifle next to a bunker made of sandbags. But when I brought up Park Plaza, Welton shut off the conversation. "I don't want to be part of it at all," he said. He laughed derisively. "I'm sure the money ain't being managed properly." Before I left his house, I asked Welton about the picnic coming up to celebrate the fifth anniversary of the co-op takeover. He scoffed. He wasn't going to waste his time going, he said. And that highlights another problem at Park Plaza: When a co-op has members who don't take part, a handful of others tend to do everything themselves. Like Seefeld. A few days before the fifth anniversary celebration, she got sick with such bad laryngitis that at times she could hardly talk. Yet one moment she was mowing a community lawn, then climbing a 12-foot ladder to replace a light in the community garage, then driving to Target to buy all the food for the picnic. Some residents say Seefeld has become both a victim and a cause of a thorny problem, which is common in organizations. She gets so impatient to get things done that she often does them herself — not just chores, but making important decisions. Meanwhile, residents see her take charge, so they don't volunteer to help. "You have to remember, this is new to us, running our own community," she says. "It's going to take time for people to get involved." Then Seefeld adds, more quietly, that there's another reason she gets impatient. She has a rare brain cancer that's likely incurable. "I try not to think about the fact that I have cancer, because you could just drown in it and not want to live," she says. "Right now I have a lot to do. I got the infrastructure done for our community, and there's still so much more. We need a playground for the kids, because they have no place to play." She pauses and wipes her tears. Taking over this community has given her life a new mission. "Sometimes you come in the park and you come when the sun's coming down, and you think to yourself, 'I wish I could just give a big, giant hug around the entire community.' And say, 'Look you guys, we did it. We finally did it.' "
"We are like a big family"
It's Saturday afternoon. The party for the fifth anniversary of the co-op takeover is underway. Co-op member Maria Ortiz watches the action from beside the cake and brownies table. She says she's never seen a manufactured housing park like Park Plaza. "Everybody has a voice," she says. "You own a little piece of where you live, you know? So it feels like we are like a big family." Just before I leave, a surprise guest shows up — Welton, driving his red mobility scooter. And then he mingles, asking another co-op member where she lives. "I'm going to stop by and say hi to you one day, OK?" he says, flashing a big smile. I needle him and suggest he's taking a baby step toward being part of this community. Welton laughs. "You must be confusing me with somebody else, man." Now we continue our look at manufactured housing communities, or mobile home parks. There are tens of thousands of them across the U.S. In most cases, private investors own the land that the homes sit on. As we told you yesterday, these investors don't always take care of the property. 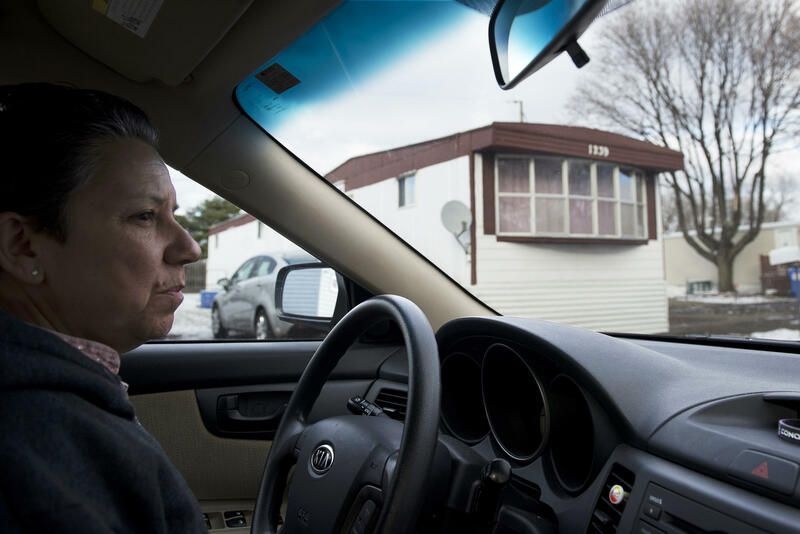 Well, today, NPR's Daniel Zwerdling takes us to a mobile home community in Minnesota where residents confronted with that problem took matters into their own hands. 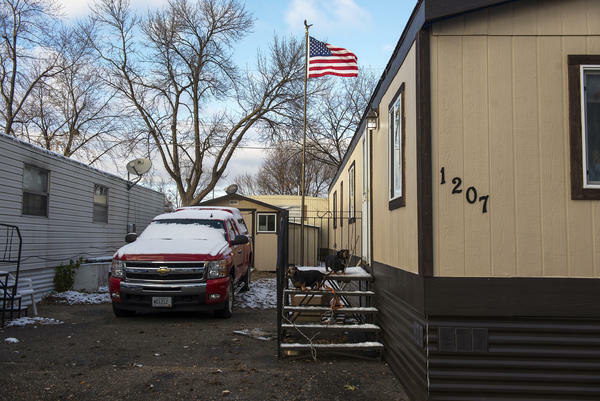 DANIEL ZWERDLING, BYLINE: This is a big day at Park Plaza in Fridley, Minn., and it could inspire mobile home parks across the country. UNIDENTIFIED WOMAN #1: We have pistachio salad. We have pasta salad. We have beans. ZWERDLING: The residents have set up a picnic buffet in front of the park's office and the American flag, and they're celebrating the fifth anniversary of the day they started taking control of their lives. Paulette Durrah is eating a hotdog. She says, we know what the outside world calls us. PAULETTE DURRAH: People refer to you as trailer park trash, and they kind of sneer at you. ZWERDLING: So listen to this. Five years ago, Durrah and the other residents banded together and formed Park Plaza co-op, and they bought this entire neighborhood from the company that owned it. So now these residents have democratic control over almost nine acres with 80 manufactured houses. Meet Carlton Dahl. He's got a vote. What's it like to be a part owner of your own $4 million business, your community? CARLTON DAHL: Wow, it's pretty wild - been a big change around here. ZWERDLING: Picture a mobile home community, and it might be Park Plaza - lots of aluminum siding and pickup trucks. Some homes are bordered with flowers. Others have piles of junk. A few days before the celebration, the co-op's president took me on a tour. NATIVIDAD SEEFELD: So we're going to go around this way. ZWERDLING: The president's name is Natividad Seefeld. She works in the shipping department at a General Mills factory. She's under five feet tall. She's always moving. SEEFELD: Hi, Marissa. How are you? ZWERDLING: Surveys estimate there are up to 50,000 manufactured housing communities across the country. Seefeld says, where else could you live close to a city for this kind of money? Minneapolis is less than a half hour drive away, and you can buy a used two-bedroom house in Park Plaza for $2,000. I'll repeat that - $2,000. SEEFELD: We've had people that have lived here 20-plus years. SEEFELD: Your park's going to be sold, your community. ZWERDLING: The owner was planning to sell Park Plaza. And that letter spotlighted the main problem with manufactured housing parks across the country. When you buy a home there, you own the walls and the roof, yes. But a private company or investor owns the land. You have to pay them rent to keep your house there, and they can sell the land and kick you out. SEEFELD: This is an owner sending us a letter that we had never met before, we've never seen on the property. ZWERDLING: It's not as if everybody loved Park Plaza. It was kind of dumpy. Typically the companies that own mobile home parks also own the infrastructure, and the less money they spend maintaining it, the more profit they can make. So at Park Plaza, there were potholes everywhere. The water pipes were so old they'd rupture a few times a year, and everybody would go without water, sometimes for days. But residents like Seefeld couldn't afford to move. SEEFELD: I make 20,000 a year if I'm lucky. Now what? ZWERDLING: And one week later, the residents got another letter, and that one said, please come to a meeting at the local library, and we'll show how you can save your community. Around 70 residents showed up, and a man named Kevin Walker started his pitch. KEVIN WALKER: We said, you have an opportunity to purchase the community, and we can work with you to get this done. ZWERDLING: Walker works with the Northcountry Cooperative Foundation in Minneapolis. They collaborate with a network of development specialists called ROC USA. 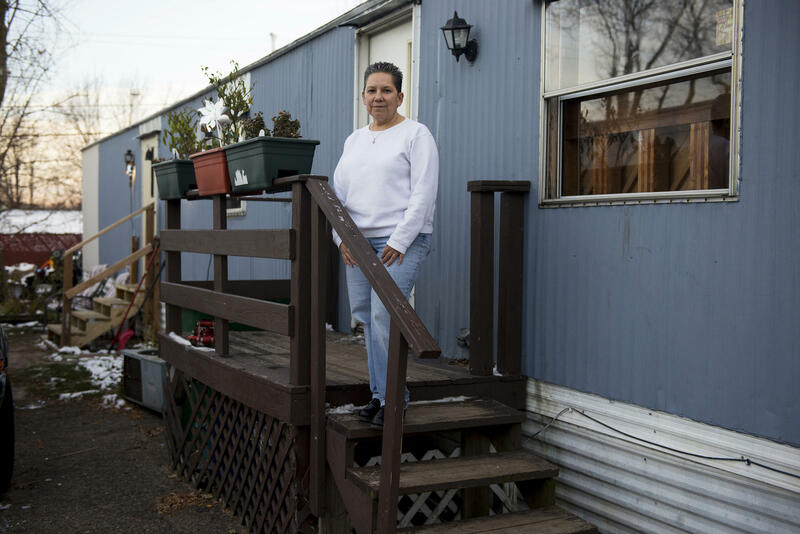 ROC has helped residents take over almost 200 mobile home parks since the late 1980s. Walker told the residents, if you want to take over Park Plaza, we'll help you form a co-op. WALKER: There's a number of people that say, what's a co-op? ZWERDLING: So Walker explained. Every resident who wants to join will pay a membership fee, usually around $200. Next, you'll elect some of your neighbors to a co-op board of directors. Then we'll help your co-op borrow money to buy Park Plaza. At this point, somebody raised their hand. How much money are we talking about? And Seefeld freaked out. SEEFELD: We had this big, white sheet of paper in front of us with $4.3 million written on this sheet of paper. We're common folk. Some of us are on disability. Some of us are retired. Where are we going to come up with $4.3 million? ZWERDLING: Well, it turns out that mobile home parks are a profitable investment. For instance, the real estate company that owned Park Plaza got $400 a month rent from every household. That's almost $400,000 a year. Yes, the residents' co-op would need a huge loan, but the foundation and ROC USA could help them get it. After all, the government requires banks to invest in low-income housing. A resident named Mara Hernandez sat listening to all this, and she was thinking, me - I'm a janitor. Were you afraid of becoming one of the owners? MARA HERNANDEZ: Yes, I'm very afraid. ZWERDLING: Natividad Seefeld says she was scared, too, but in a way, growing up had prepared her for this moment. When she was a kid, her family moved from rental to rental. They lived in their station wagon for a while near Los Angeles. SEEFELD: Yes, those little cans. I can remember that smell like if it was yesterday. We even spent Easter in the car. My grandpa - he brought us all Easter baskets in brown paper bags and brought them in the night while we were sleeping. ZWERDLING: Seefeld says as she sat there in the library, she knew; I'm not moving again. She stood up and faced the crowd. SEEFELD: I said, close your eyes for a minute, and think, what would I do if they said I had to move today, but you have to take your house with you, too? Where are you going to put it? Where are you going to get the money to move it? What about your family? And say, oh, my gosh, I don't really have anywhere to go. I have nowhere to go. Then you realize, I have to do it. ZWERDLING: And the residents did it. They voted that same night to form Park Plaza Cooperative. Sure enough, banks lent them $4.3 million. And one year later, they bought their community. SEEFELD: All right, so we're going to get started. And let's see here. ZWERDLING: One night recently, the co-op board of directors started their monthly meeting. Seefeld is president. There's no pay. SEEFELD: OK, can we get a motion to approve the agenda? PAT STREETER: I make a motion we approve the agenda. ZWERDLING: A resident named Pat Streeter is vice president. ZWERDLING: Since the residents formed their co-op, the local foundation has been training the board. For instance, how do you use Robert's Rules of Order? STREETER: OK, the motion passes. ZWERDLING: How do you manage finances? STREETER: So we want to bring our cash on hand up to the amount - my phone is driving me nuts. I'm sorry. The amount we want to have on hand above the $93,000 is - let me do this one more time. ZWERDLING: And the whole community is learning how to run a business. STREETER: OK, can I hear a motion to adjourn? ZWERDLING: All the residents get to vote on major projects. They still pay rent every month, and they voted to spend hundreds of thousands of dollars of it to renovate the park. They've replaced the old water pipes, so these days, the community never goes without water. They resurfaced the streets. I didn't see a single pothole. Still, residents say that managing their own community does not bring nirvana. They still have neighbors like Rusty Welton. RUSTY WELTON: Shut up. Get back. Come on. Get back. ZWERDLING: I think he said that to his dog, not me. People told me Rusty Welton is nasty. ZWERDLING: In any case, I told Welton I heard he's an Army veteran, and he warmed up. He showed me his two Purple Hearts. He got shot twice in the Vietnam War. Now he can barely walk. He showed me old photos. WELTON: And this is the gun. I was on guard duty, and I was guarding that gun. ZWERDLING: But Welton did not want to talk about Park Plaza. He said, I don't care about the co-op. I don't care about voting. You don't want to be part of deciding how to spend the money? WELTON: No, I don't want to be part of it at all. I'm sure the money ain't being managed properly. ZWERDLING: Before I left his house, I asked Welton about the celebration coming up. Five years since they bought Park Plaza - are you going to go? WELTON: No, I ain't going to eat that [expletive]. ZWERDLING: And that highlights another problem at Park Plaza. When a co-op has members like Welton who don't take part, a few others tend to do everything themselves. SEEFELD: OK, it's time to mow. ZWERDLING: So one morning recently, who's mowing a community lawn - Natividad Seefeld. I don't get something. This is supposed to be a - oh, thank you. This is supposed to be a democracy. Why aren't - why can't you get somebody else to mow? SEEFELD: Because I like to do it. ZWERDLING: Some residents say Seefeld has become both a victim and a cause of a thorny problem, and it's a common problem in organizations. She gets so impatient to get things done that she often does them herself. Meanwhile, residents see her take charge, so they don't volunteer to help. I asked Seefeld about this one morning, and she said, look; this is new to everybody - running our own community. More people are starting to pitch in. Then she said there's another reason she gets so impatient. She has brain cancer. SEEFELD: I try not to think about the fact that I have cancer because you could just drown in it and not want to live. Right now, I have a lot to do. I got the infrastructure done for our community, and there's still so much more. We need a playground for the kids - yeah. ZWERDLING: It's Saturday afternoon. The fifth anniversary is underway. Seefeld - who else? - has bought a game that kids are playing in the street. 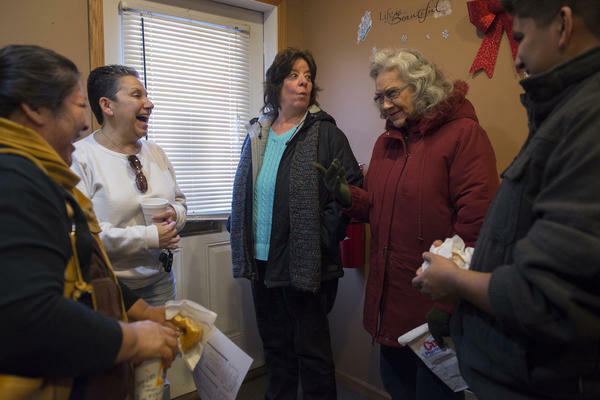 A resident named Maria Ortiz has brought over a pot of beans. She says she's never seen a manufactured housing park like Park Plaza. MARIA ORTIZ: Everybody has a voice. You own a little bit of a piece of where you live, you know? ZWERDLING: Just before I leave, guess who shows up? It's the man who doesn't want to take part. Rusty Welton has driven to the picnic on his red mobility scooter, and he's mingling. UNIDENTIFIED WOMAN #2: I'm going to leave the cake here. WELTON: What house do you live in? WELTON: I'm going to stop by and say hi to you one day, OK? ZWERDLING: So I think the fact that Rusty Welton has showed up here and is spending so much time here - this might mean that you're taking a baby step toward being part of this community. WELTON: You must have me confused with somebody else, Man (laughter). ZWERDLING: Rusty Welton, member of the Park Plaza manufactured housing co-op in Fridley, Minn. Daniel Zwerdling, NPR News. Transcript provided by NPR, Copyright NPR. 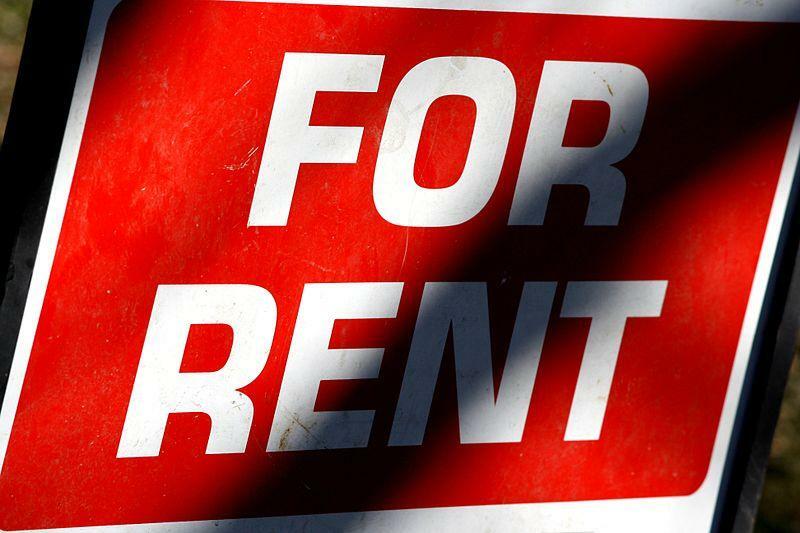 Federal housing officials are trying to make it harder for landlords to deny potential renters because of their criminal history. 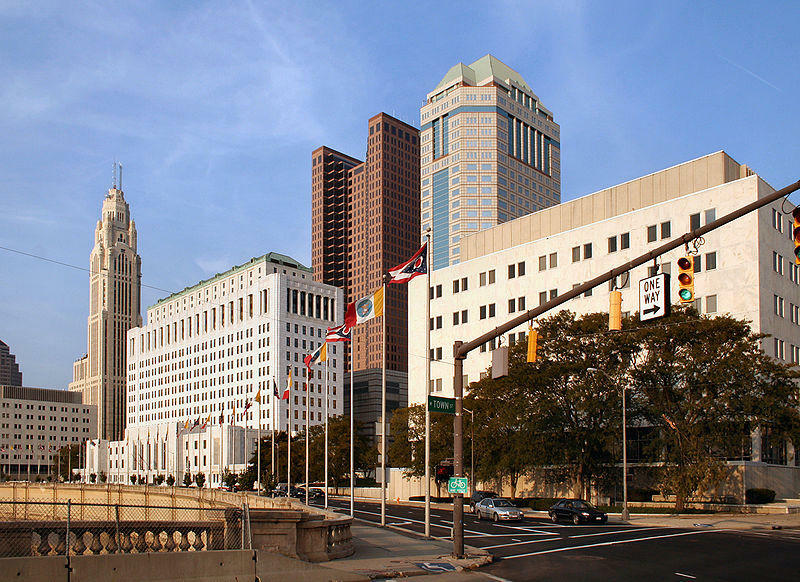 The Columbus economy continues to grow, and with it many people are moving closer to the Downtown area. As a result there's been a lot of replacement of affordable housing for low-income families with newer, more expensive properties. A new report claims that very few low-income options are located in good neighborhoods leading to a divide between the residents.